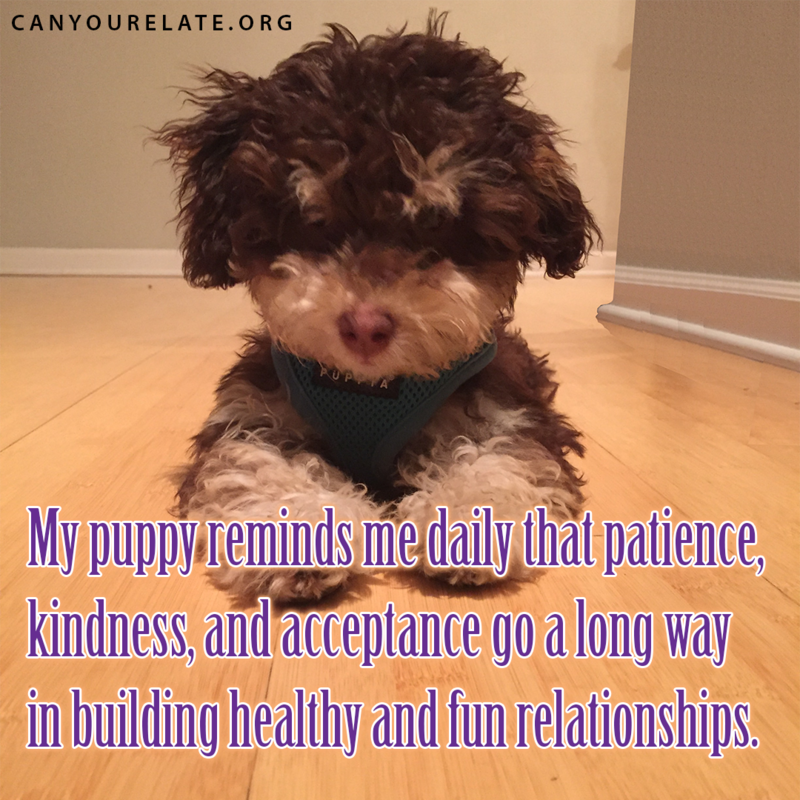 Patience, kindness, and acceptance for puppies and people – Can You Relate? Are you treating the people in your life with love and understanding? And are the people in your life doing the same for you?